Choose from our origami models - you are sure to find something that will be popular with the recipient of the gift! 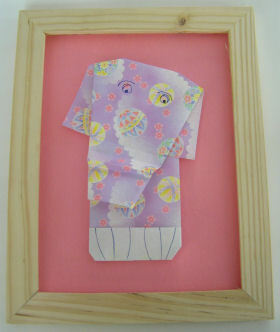 Our origami animals make particularly good pictures for younger children and are some of the easier models. Once you have made your origami model or models, choose a piece of paper or card for your backing sheet and cut it to size. 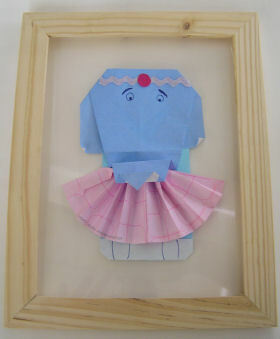 Decorate it however you want and glue your origami to it. We cut some pretty paper into letters to spell out a name, but you can use your imagination to decorate your picture however you want it. 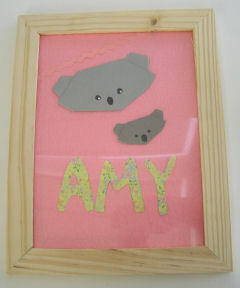 When the glue has dried, put your picture into the frame and display proudly!